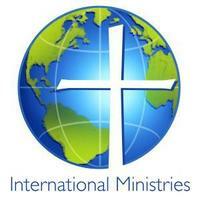 International Missionaries our congregation supports prayerfully and financially. Click on Larry and Becky Stanton. They were recalled from Libiera due to the ebola outbreak and are now serving in Hungary. Becky is teaching English and witnessing to students and their parents. She grew up in our congregation and was a youth leader here for many years. Larry is currently serving the refugees in Greece. They are members of the Pate Chapel Baptist Church. Click on (photo of) Denise Osejo-Aragón and Juan Aragón. Denise and Juan will serve in partnership with the Council of Rural Indigenous Evangelicals of México (Consejo Indígena Campesino Evangélico de México, CICEM) in Chiapas, México. They will both work in training, prevention and education as they learn the community needs and look for ways to emotionally and economically empower leaders in their communities. Juan will focus on theological education and leadership training as he accompanies, coaches and disciples new church leaders. Denise’s ministry will seek to empower women, especially those who are victims of domestic abuse. Chuck and Ramona Shawver after 28 years of serving God in México have retired from the mission field and are home in California. They are activly working to build and maintain support for several ministries and programs in Chiapas, México. For more information contact Al Turl (albertturl@frontier.com). You can also observe what our denomination is doing in other countries as well by clicking on the International Ministries of American Baptists.